I've been working as a wedding photographer around Ireland for quite a while now. Below are some of my favourite wedding venues I've shot in the last year or so. We're really spoiled for choice here in Ireland for wedding venues. From Weddings in Castles to Country Houses Weddings, from City Centre Wedding Venues to full on festival themed Glamping Wedding venues, we do really cover a lot on this small island. Borris House is a private historic house dating back to the Kings of Leinster and when you choose to have your wedding at Borris House the house is exclusively yours for your wedding day. Every wedding I have done in Borris House has been different. It's a venue you can really put your stamp on and make it your own. What I love: The lace garden at Borris House is stunning all year round. The light in the bridal suite is a dream and I also have a soft spot for their rustic ballroom. A legendary Castle on an Island, with it's own ferry! Exclusively yours on your Wedding Day! Weddings at Waterford Castle Hotel are offered on an exclusive use basis. This means the castle is only accesible to you and your guests, with 19 rooms and suites for your family and friends. 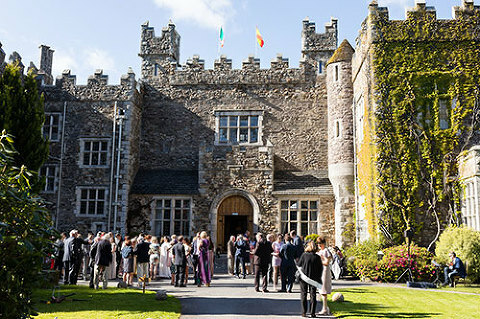 Your very own Castle Wedding! What I love: The fact that it's on it's island of it's own means that you feel even more removed from your day to day. Also, the light in the bridal suite is unreal! What I love: The view! The Haven Hotel looks out over the sea and you can see Hook Head on a clear day. It's a short walk for a view of the cliffs too. 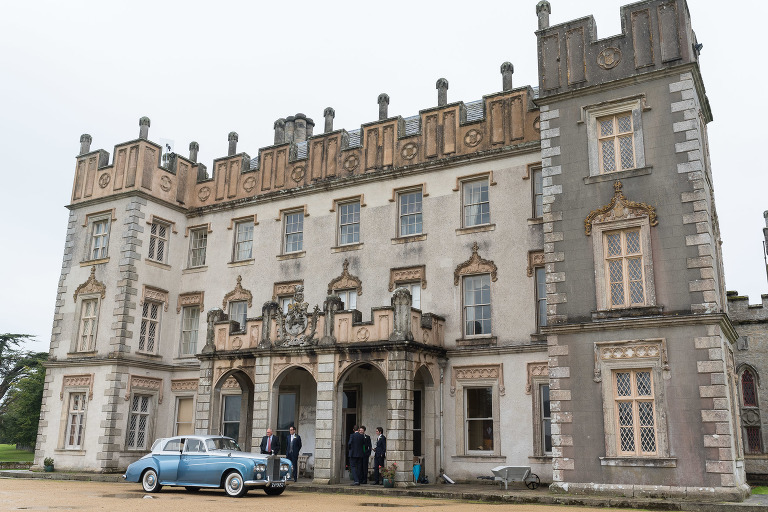 Situated in the picturesque village of Castletown Geoghegan, County Westmeath, Mount Druid is an exquisite parkland of 100 acres. The purpose built tin chapel, boathouse, barn and their custom made accommodation nestle sympathetically into the landscape and offer the opportunity for a bespoke wedding to remember. What I love: The tin chapel is an amazing ceremony and the reception in the barn is some of the most fun I've had at weddings. The vibe is unparralled in Mount Druid. Clonabreany House is such a fun wedding venue. Everything is on site including the ceremony space. It's designed with the flow of a wedding in mind with space for drinks reception, couples portraits, dinner and dancing in to the wee hours. Bonus points for that epic dancefloor. What I love: There are so many spots around Clonabreant House for all your portraits meaning you won't be away from the fun for too long. Ballymagarvey Village is another one of those 'made for wedding venues'. Everything is on site, the ceremony space is a short walk from the house and the party starts as soon as you leave that room. There's a plethora of spots for photos so again, you don't have to go far. What I love: The sun sets in just the right spot, out by the lake behind the reception space. You can nip out of your ceremony and be back before you're missed. Horetown House is my favourite venue of them all. I'm getting married there, that's how much I love it. It's a private country house wedding venue in Co. Wexford with a laid back vibe but with excellent food and stunning grounds! The Cliff Town House is a luxury restaurant and boutique hotel on St Stephen's Green. It has the most picturesqure sought after views for your Dublin City Centre Wedding. Broolodge is based just outside of McCreddin village and has that small village vibe everyone's loking for. There's a beautiful Brook that runs alongside the Chapel on the grounds of the hotel. Brookhall, where your reception is held, is separate to the main hotel meaning you feel like you have the whole place to yourself. What I love: The little chapel is so cute and if the weathers nice you can have your drinks reception by the brook! The food is incredible too. Ashley Park House is an 18th century country house situated on the edge of Lake Ourna. It is steeped in charactor and it's higgildy piggildy rooms make it a joy to explore. The marquee has the most beautiful light. There's gardens to stroll through and games to play on the lawn. The perfect private wedding venue. What I love: The cermony space is unmatched by any other space. It has a massive glass front which makes it look like you're on the lake. Stunning spot for portraits too. Wedding at Dromquinna are absolutely wonderful. They have that fancy house party vibe I love! The house is exclusively yours for the duration of your wedding and with stunning views of the lake you're not going to want to leave. What I love: That lake view, gets me every time. Barnabrow House is situated in the very picturesque East Cork. Surrounded by rolling hills it feels like you're in the middle of nowhere. The grounds are amazing and make for a beautiful walk, just the two of you during your wedding day. What I love: When the drinks reception is held at the front of the manor house there's a great party vibe. Boyne Hill House is set in 38 acres of stunning gardens and parklands overlookig the Boyne River. This country house becomes your own very private residence for the duration of your wedding day. What I love: There's a secret underground tunnell linking the main house to the reception space! It's so fun! If you're not the country house kinda couple but want to be surrounded by lush landscape then Druids Glen is for you. The wedding area is seperate from the main hotel so you feel like you have it all to yourself and the room you have your reception in is absolutely stunning. Faithlegg is situated about 20mins drive from Waterford City but feels like it's so much further out. The conservatory where your reception is held has the most stunning light. Not to mention the stunning house where you're drinks reception is held. If you're lucky, your ceremony and reception will be held outside. What I love: There's a small wooded area out the back of the hotel which given the right light, is perfect for portraits. Tulfarris is based just 40 minutes from Dublin. An 18th century manor and 4 star resort on on Blessington lake with stunning views of the Wicklow Mountains and the lake itself. What I love: The grounds are stunning but the lake is the icing on the cake! What I love: I'm always gonna take the opportunity to drive that golf cart around the grounds. The lake is spectacular.